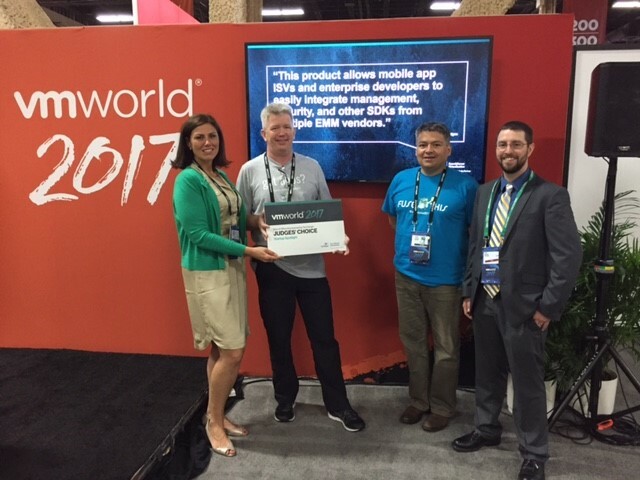 Appdome Wins Best of VMworld 2017, Judges’ Choice! Appdome wins Best of VMWorld 2017! Wow, this has been another amazing week, here at Appdome. Our team flew in on Sunday and participated in VMworld 2017 in Las Vegas. We got a lot of face time with customers and the audience at VMworld. It’s always fun to exchange and share new ideas and technologies. 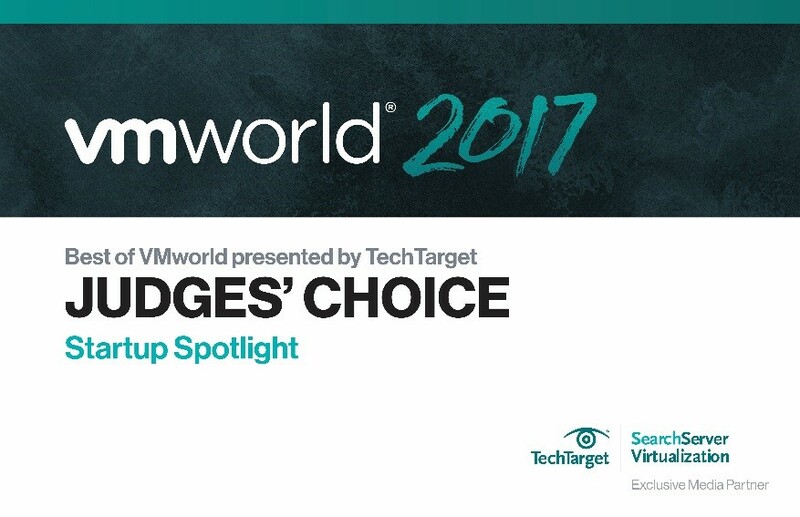 But what has really made everyone’s day at Appdome is receiving an award in Best of VMworld 2017 for Judges’ Choice – Startup Spotlight. It is an honor to be named as one of the “Best of VMworld 2017” award winners. This is a great acknowledgement on Appdome’s vision and our amazing technology. It also validates Appdome’s strong presence in the mobility space. We love that our platform and solutions solve major mobile app integration pain points so that enterprises and ISVs can focus on building and delivering great apps. But winning the “Judges’ Choice – Startup Spotlight” Best of VMworld 2017 award brings us to greater heights! The feedback that we have garnered from the market and customers is that they like what they heard/read but they love what they see or what the platform can do. Our Fusion technology has the ability to not only deliver integrated mobile experiences fast but also include multiple services at the same time. We cannot thank all our customers and partners enough for their support. Thank you for trusting in our technology and working with us to broaden your mobility reach. We look forward to continuing this amazing journey with all of you at Appdome. On a personal level, allow me too to thank the incredible team at Appdome that works every day, together, to deliver our best solutions and best value to the mobile industry. It is truly an honor to work with all of you. If you are not already a user on the Appdome Platform, we invite you to sign up for a free account and ride with us in this amazing mobile journey!